M.C. Frank: Pick a Cover for my Book! Pick a Cover for my Book! 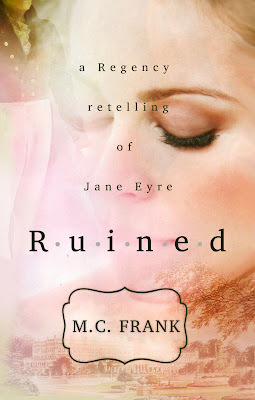 I need your help picking out a cover for my Regency romance book, Ruined. It has already been out for a couple of months now, and while sales are going great, I did a little experiment (if you read this blog at all, you'll know that I'm still feeling my way around self-pub and doing all kinds of experiments, hehe) back in the summer, when I was preparing for the book's launch: I made a completely different cover for the kindle and for the paperback versions of the book. As expected, the ebook has been selling far more than the paperback, but that's ok. The thing is, I want to know which cover direction would appeal more to my readers. So this is where you guys come in. Sold like crazy, but for some reason I hate it. 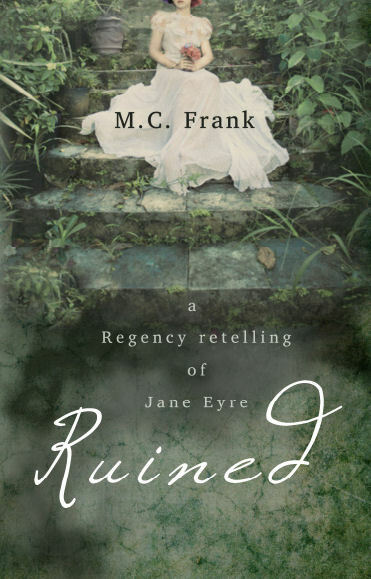 Represents the genre (Regency historical). Which one would you pick off the internet or on a bookshelf? 4. If you read it and review it, giving it a 4 or 5 star review on goodreads and/or amazon, I will SEND YOU A FREE PAPERBACK copy! (as you can tell this previous experiment is working out pretty brilliantly and I'm willing to repeat it). Thanks in advance for your help picking the cover, I'm going mad with indecision here. This shouldn't be so hard, right? and the 3 first chapters of the book to read for FREE. Enjoy! I LIKE THE GREEN ONE , IT LOOKS ROMANTIC AND SOMEHOW MODERN. I like the green one too! I think that all three covers look great but if I had to pick, I'd got for the first one too. It's simple but the model on the cover and the green scenery looks beautiful and defnitely fits a romantic novel, in my opinion. 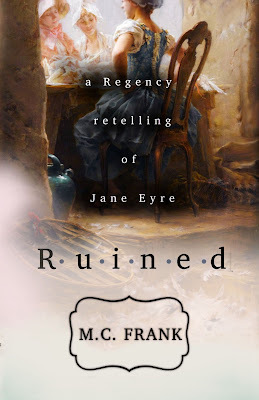 The font used for the title looks great and complements the cover really well. Definitely the green! It's beautiful!